Restaurant Livonija, located in the very centre of Old Riga, at the edge of the bustling Livu Square recently underwent a complete makeover. Livonija returns you to the Middle Ages in Latvia, or Livonija, as the region was known from the 11th to the 18th century. Upon passing down the stairs, you enter in a forgotten world of strolling minstrels, fair maidens and knights in shining armour. 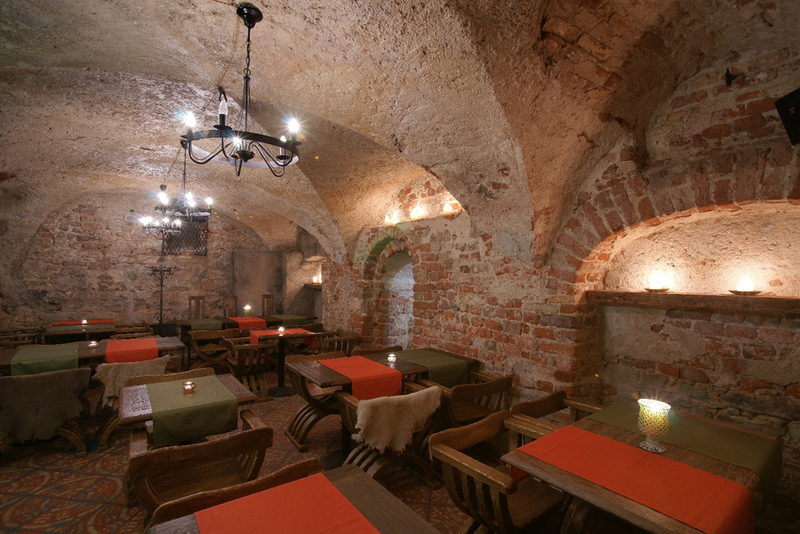 The menu specializes in local and traditional Latvian foods. Main focus on the menu is hearty meat dishes, which are individually spiced and seasoned with its own garnishes and sauces. The beef medallions are marinated in wine and balsam, the pork shank is glazed in honey and the spare ribs come with stewed sauerkraut (a regional favourite).